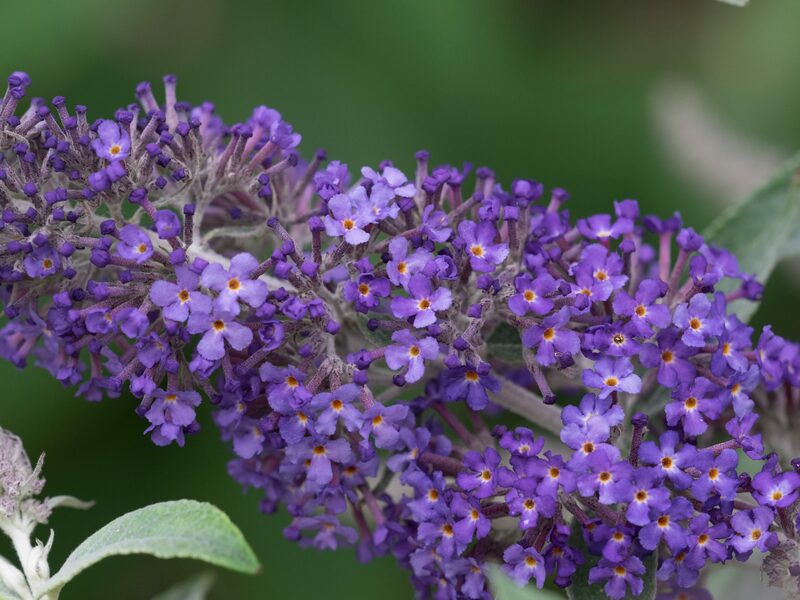 This fine compact cultivar was cloned from a seedling found growing near the eponymous summer house at Longstock Park, with silver grey leaves and beautiful iridescent palest china blue flowers. 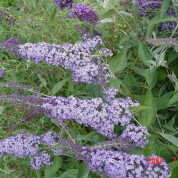 A winner, certainly in my top ten and our customers like it too. 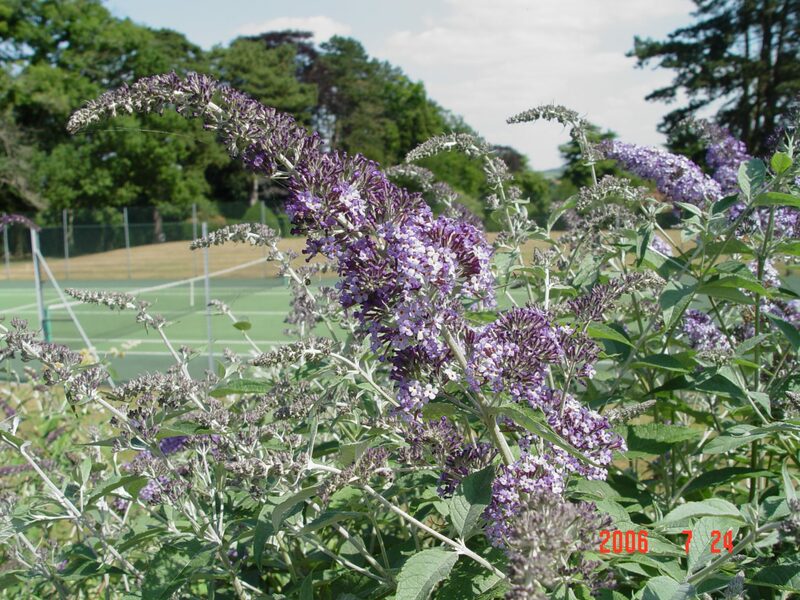 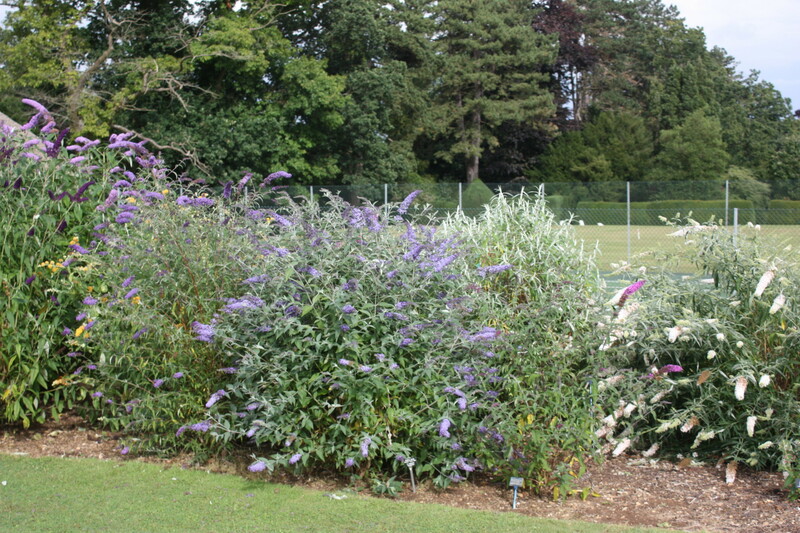 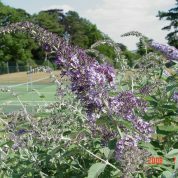 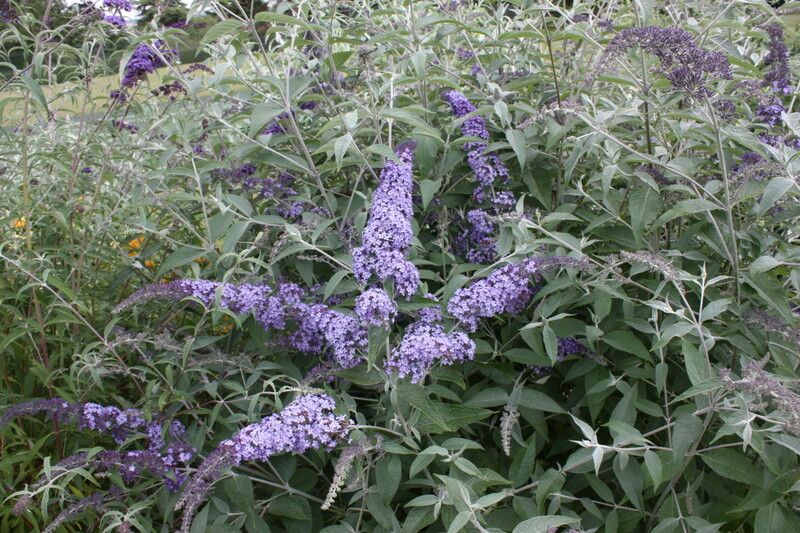 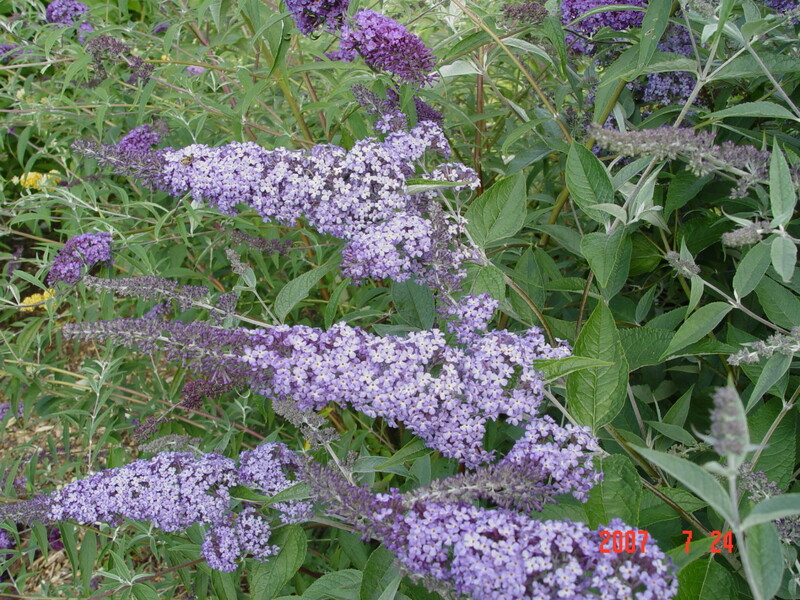 When Peter Moore became Keeper of the National Collection of Buddleja in 2005, the plants by the summer house had become no more than an overgrown closely planted hedge and many of the labels were lost. 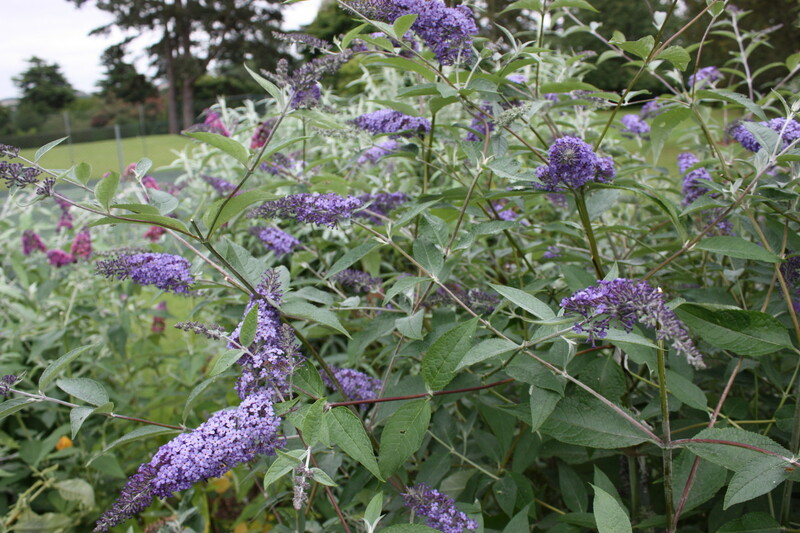 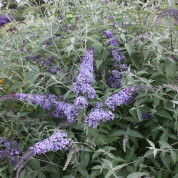 It was decided to replant the best of the B. davidii cultivars in a new display within the nursery gardens. 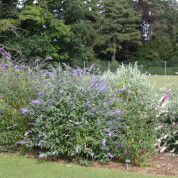 Half of the plants in the original border were removed however, Peter noticed one plant struggling to survive which had a very silver leaf, certainly too good to destroy. 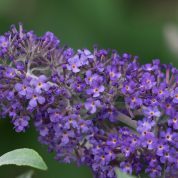 During a visit to Longstock by the International Plant Propagators Society none of the 85 delegate knew the correct name, so Peter named it B. 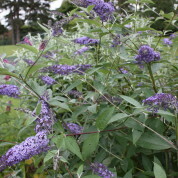 ‘Summer House Blue’ as it was cloned from a seedling found growing near the eponymous “Summer House”.